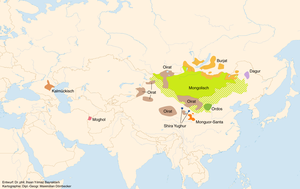 The Mongolic languages are a group of languages that are spoken in Central Asia. Some linguists propose to put Mongolic languages in the same group as the Turkic and Tungusic languages. They call this group the Altaic languages, but not all linguists agreed upon this. The best-known member of this language family is Mongolian. In Cyrillic orthography as it is used in Mongolia it is written Монгол Хэл, and in the vertical Uygur-derived script as used in it is Inner Mongolia in China it is written Mongγol Kele). 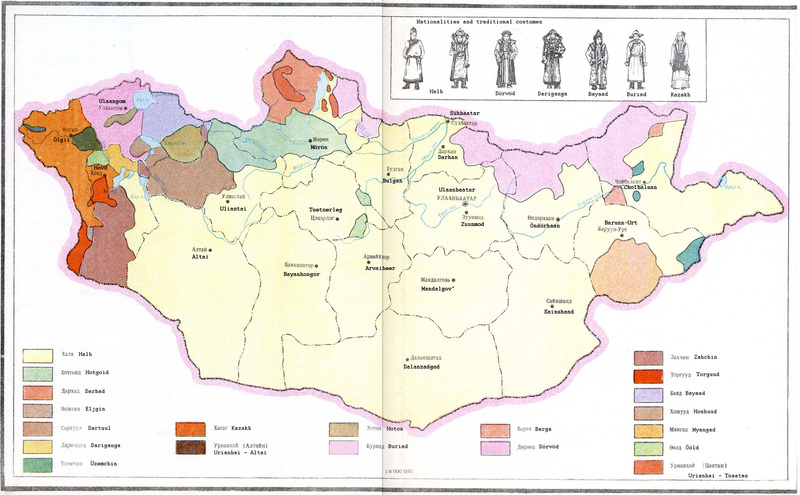 It is the primary language of most of the residents of Mongolia, and is spoken by around 5.7 million people in Mongolia, Russia, and China. This page was last changed on 19 October 2018, at 15:21.